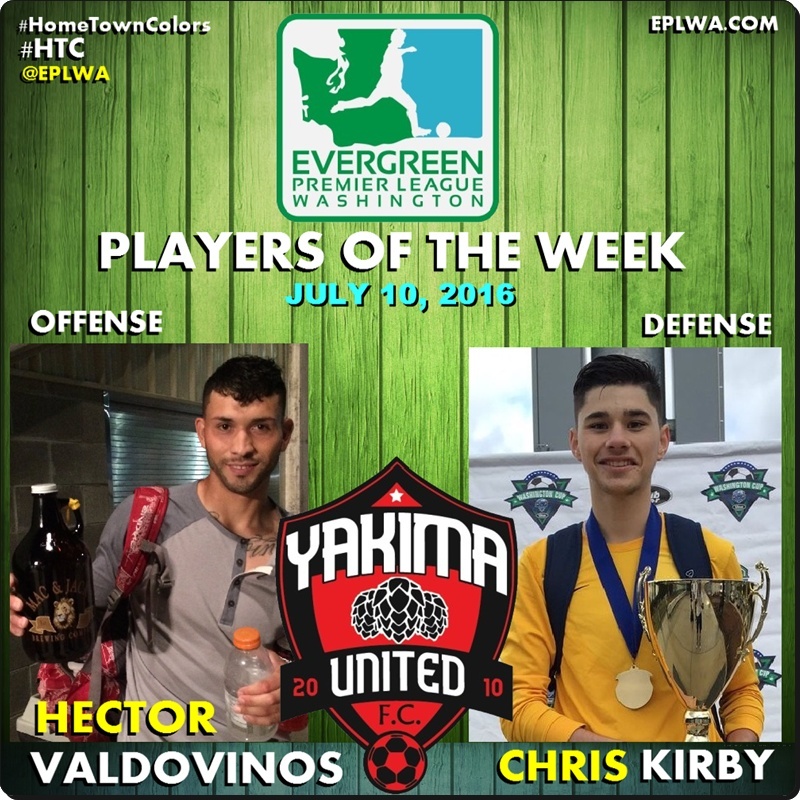 BELLINGHAM, WA— The Evergreen Premier League announces that Yakima United Football Club have swept the July 10 Player of the Week honors after their 4-0 win over Wenatchee FC last Friday. It was the first-ever win for the Hoppers over their Central Washington rivals, and it featured performances on both ends of the pitch that combined for goals and a shutout. 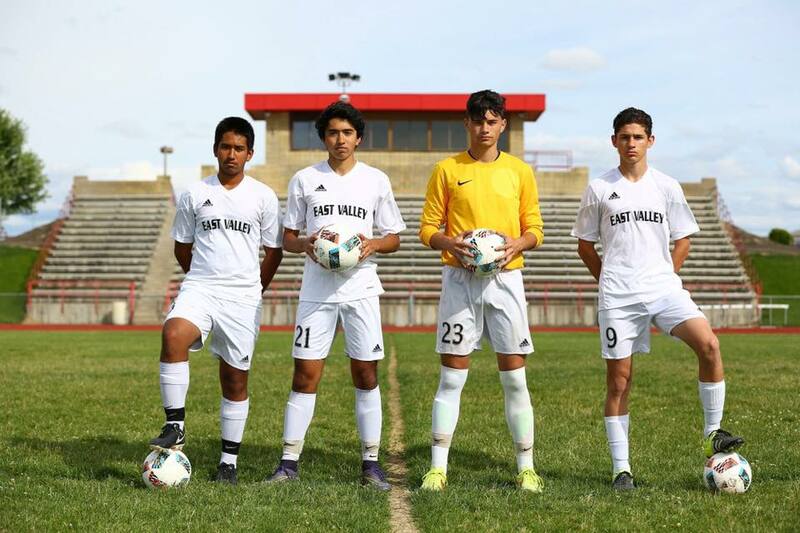 It was a match for veteran striker Hector Valdovinos to shine (and to reach 20 goals in EPLWA play) and for rookie goalkeeper Chris Kirby of East Valley High School and Central Washington Soccer Academy to get his first Hoppers start and shutout. 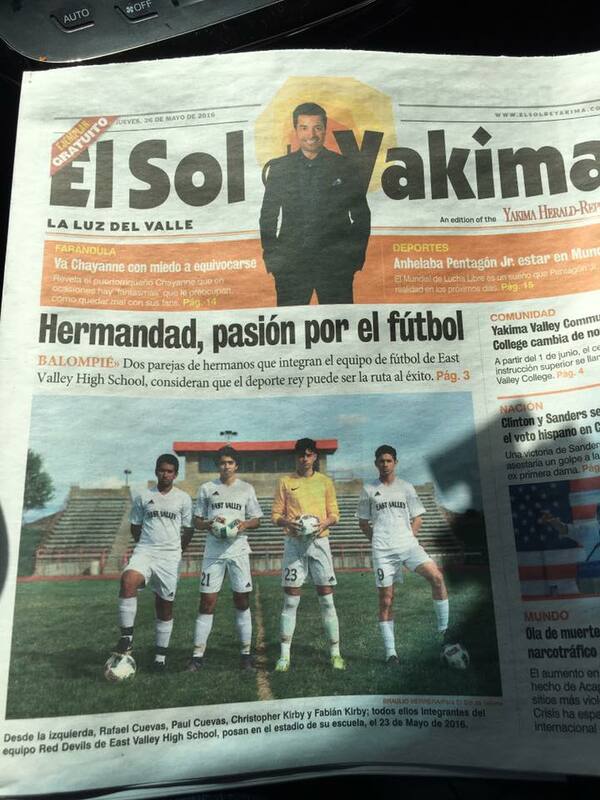 It was a combined force of generations for Yakima soccer. Two goals for Hector, a zero on the scoresheet for Chris. Hector Valdovinos was Man of the Match for the Hoppers. His brace also makes him Offensive Player of the Week in the EPLWA. Valdovinos scored a brace against Wenatchee. His goals in the 21st and 56th minutes pushed his three-season total with the Hoppers to 20. 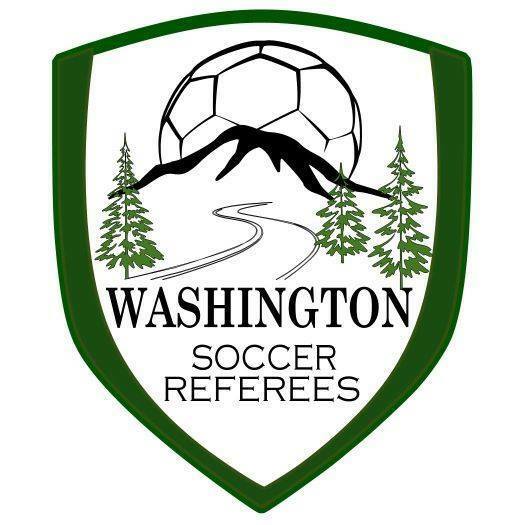 Hector was honored earier this year by the Washington Adult Soccer Association. In an interesting twist, Hector was also named Player of the Week last season against Wenatchee. Chris Kirby holds a trophy won by his Central Washington Soccer Academy earlier this year. Chris Kirby is a junior at East Valley High School in Yakima, where he has been a starter on varsity soccer. Chris has also won trophies with the Central Washington Soccer Academy in elite club play. He was named the first team all conference goalkeeper this season in the CWAC. His future is bright and includes (according to his twitter page) a chance to jump over to training in the MLS Portland Timbers system. Last Friday the youngster showed he can play with the big boys as he shut out Wenatchee while making 5 saves. Press for East Valley HS. Chris Kirby #23 with East Valley HS. 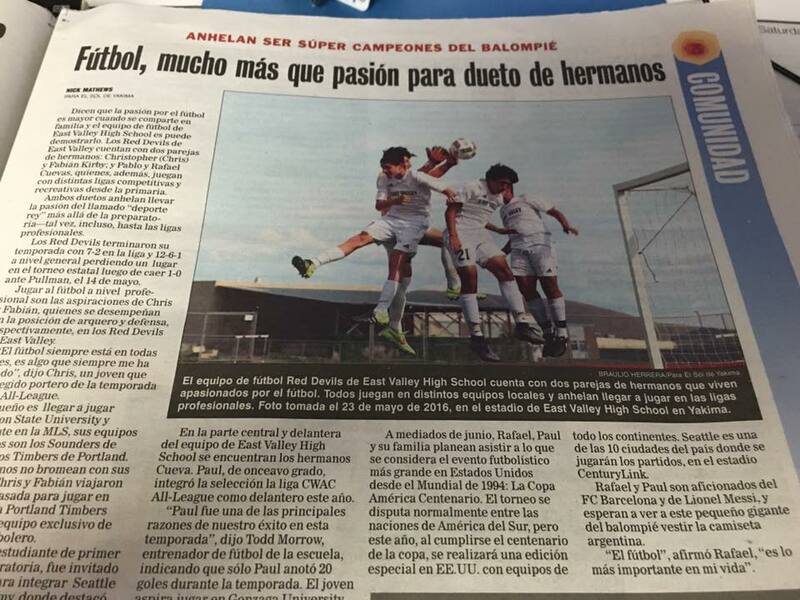 Two names in Yakima soccer – one already in the history books, and one just getting started. Both are Evergreen Premier League Players of the Week.